„Initiator for exciting collaborations and platform for ambitious projects“ (Groove Magazin). Initiating, dedicated, collaborative, adventurous. This year we celebrate 5 years of UM:LAUT! Back in November 2011 we kicked off our little series with Nils Frahm’s first big Berlin headliner show. Since then we welcomed amazing artists such as Brandt Brauer Frick, Bugge Wesseltoft, Forest Swords, Hauschka, Henrik Schwarz, Max Cooper, Moritz von Oswald, Murcof, Nils Petter Molvaer, Oneohtrix Point Never, Valgeir Sigurðsson and many more. We would like to thank all the artists, our partners, our amazing staff and last but not least our audience for the curiosity, for special encounters, intense moments, standing ovations and some splendid times together. Reasons enough to celebrate with some great projects coming up in the last quarter of the year. 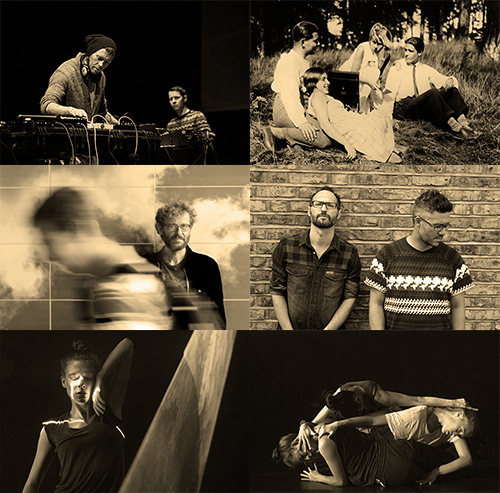 We are very happy to welcome some old friends like Efterklang’s Casper Clausen, London’s Neon Dance company or Piano Interrupted as well as exciting new guests like Markus Acher of The Notwist. We hope to see you in Copenhagen and in Berlin’s Radialsystem in October, November and December. Click on the links below for more info and get your tickets fast!